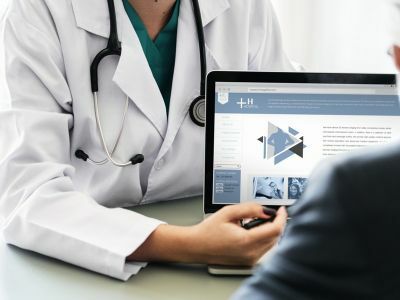 Telemedicine is a promising care avenue for parents and patients concerned about measles to get help without exposing others, American Well Vice President of Clinical Innovations Sylvia Romm, MD, wrote in a LinkedIn post. The best defense against measles is the MMR vaccination, meaning individuals who are not vaccinated must try to avoid exposure. That's particularly hard as states across the U.S. battle measles outbreaks. Washington state announced a public health emergency, with 26 measles cases confirmed, Dr. Romm notes. "The Washington State Department of Public Health also advises anyone who has been exposed to measles and/or believes they have symptoms of measles to call their healthcare provider before visiting the medical office or emergency room," she writes, adding that a better option is telemedicine, because it reduces the risk of infecting others. "Although the final diagnosis needs to be done through a lab study, physicians can do a lot remotely. They can review a patient's health history and discuss symptoms, leveraging their extensive training to visually examine patients for characteristic signs of measles," Dr. Romm writes. "Most importantly, they can give individuals a detailed plan about how best to get help quickly without endangering others." With technology, she concludes, it's easier for patients to get fast and convenient expert medical advice in a way that keeps everyone safe. Click here to read the complete post on LinkedIn.